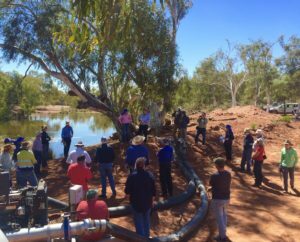 Understanding the potential of irrigated agriculture in the Pilbara is a step closer, as results from a remote irrigation trial were shared with a crowd of enthusiastic attendees from the region. 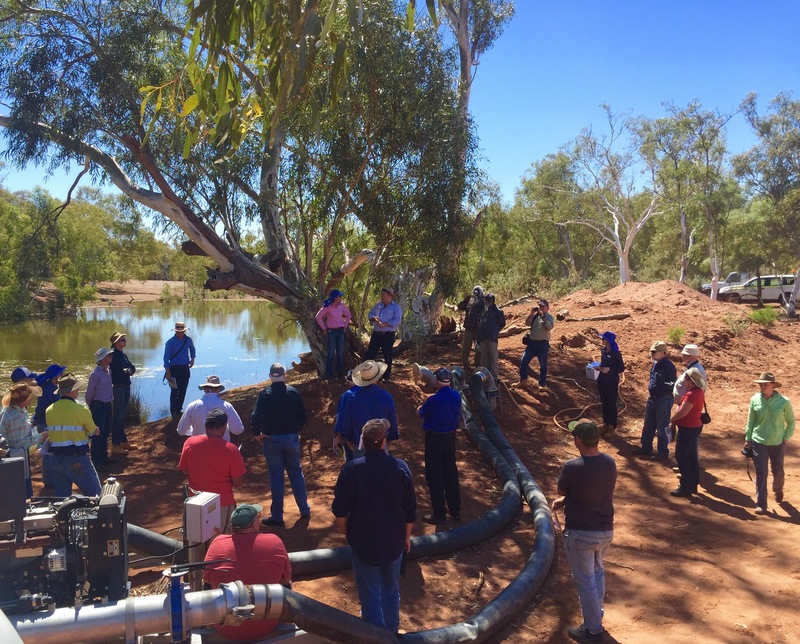 Hosted by the Department of Agriculture and Food, Western Australia (DAFWA), pastoralists, traditional owners, miners and government representatives gathered at the Woodie Woodie site in August to learn about the trial results for the first time. 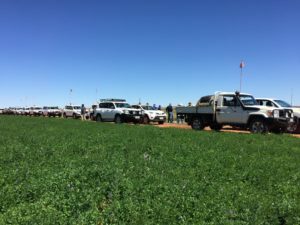 Project Manager Chris Schelfhout, said the trial was designed to test the logistics of running an irrigation operation in the Pilbara, as well as the impacts of relying on surplus dewater for irrigation to grow fodder crops. Many of the crop species evaluated were new to the region. The first trial crops of sorghum, Rhodes grass, lucerne and tropical legumes were planted in September 2015 and grown over summer. 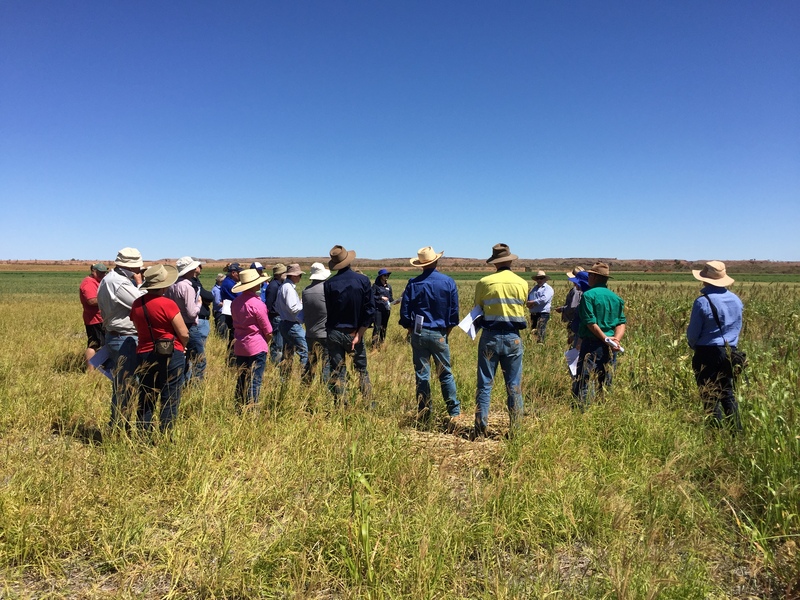 Planted in May 2016, the winter trial program assessed a range of cereal and legume grain and fodder crops. The trial demonstrated the capacity to yield high tonnages of quality fodder. 190km south-east of Marble Bar – Australia’s hottest town. DAFWA would like to acknowledge the contributions of Warrawagine Station, contractors and its project partners, Pilbara Development Commission and Department of Regional Development in the Woodie Woodie trial. The Woodie Woodie trial is part of the broader Pilbara Hinterland Agricultural Development Initiative (PHADI), made possible by Royalties for Regions. 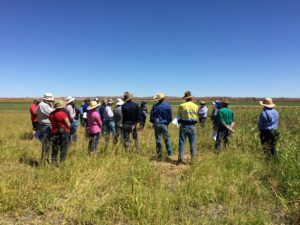 Research into agronomics, regulatory pathways, supply chain and market opportunities, economic viability, and soil and water resource investigations in the Pilbara are part of the PHADI program of work. The Woodie Woodie trial results are currently being collated into a report and will be made publicly available via DAFWA’s website. Lisa Chalmers and Chris Schelfhout (both DAFWA) discussing with attendees the regulatory requirements for water licencing and works on riverbanks. 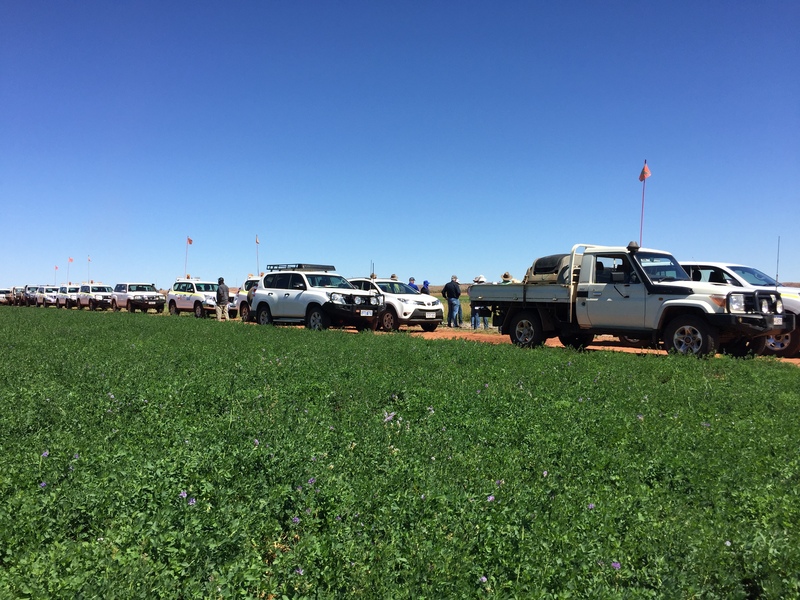 Guests travelled long distances (190km east of Marble Bar) to inspect the Woodie Woodie pilot site including crops such as lucerne that has been flourishing over the cooler months. Chris Schelfhout discussing the results of some of the trials including Rhodes grass and a sorghum varieties and a range of temperate and tropical legumes.